We all know how important certificates are in real world as they bring authenticity and strong confirmations to our achievements and the work we do. 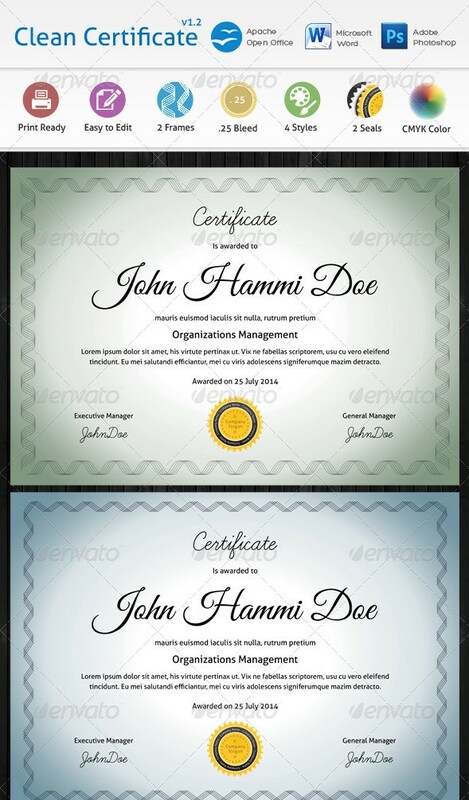 Companies use certificates to reward their employees for various programs and achievements like “Employee of the month” where as schools, universities, academies, institutes and similar organizations use certificates in various other forms like degree certificates, course completion certificates or diploma certificates etc. Some of the most common uses of these certificates in real world are as award certificates, recognition certificates, marriage certificates, training or course completion certificates, discount or gift certificates, birth certificates, graduation degree certificates and college diplomas. So, if you are one of those who strive a certificate design then you need a certificate template to begin with. Certificate or Diploma templates are the building blocks of a new certificate or diploma design. Some certificate templates are generic and can be used for any purpose but some are specifically designed to be used by a particular comapny or organization. 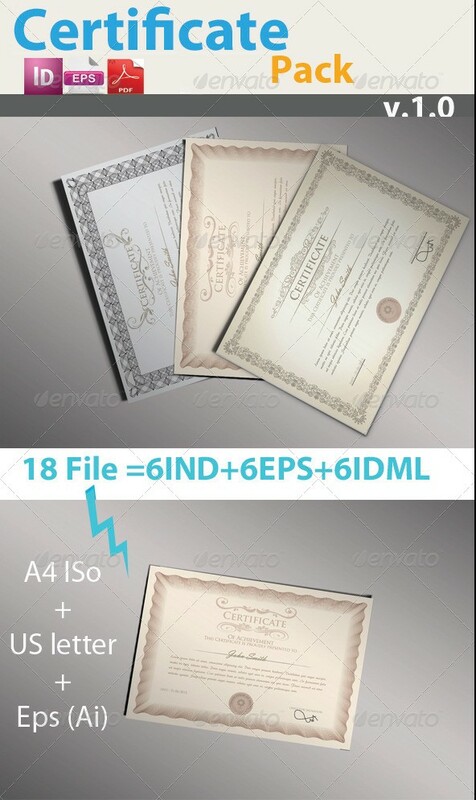 In this post, you will find various types of certificate templates like award certificate templates, gift certificate templates, birth certificate templates, certificate of appreciation templates, certificates for discounts templates, certificate of recognition templates, certificate of completion templates, graduation certificate templates, modern certificate templates, classic certificate templates and much much more. I have spent a tremendous amount of time in searching and collecting some of the best certificate templates and diploma templates which are extremely high in quality, modern and have unique designs. 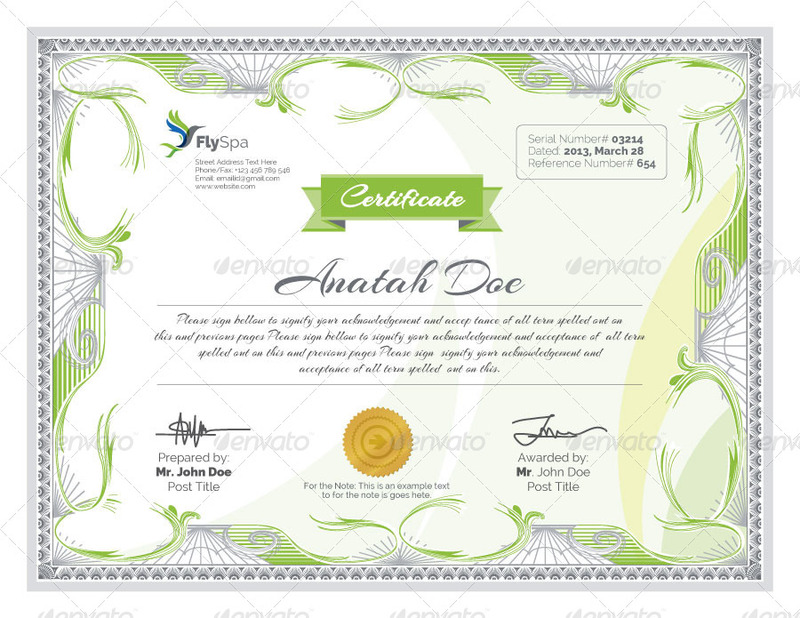 I have also tried to showcase several varieties of certificate templates as well. 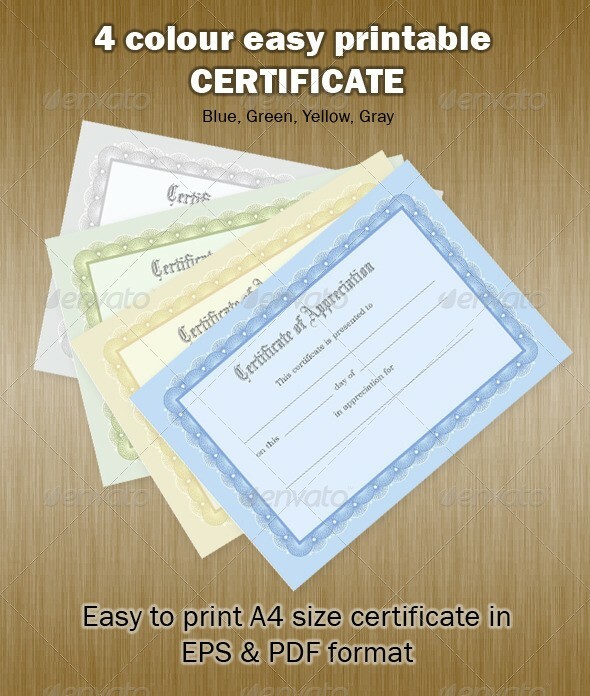 All of these are print ready or printable certificate templates, which means that you can just grab them, replace the text and seal and you are ready to print it. But if you don’t want to do that, you can use these certificate templates as a starting point to design one of yours. 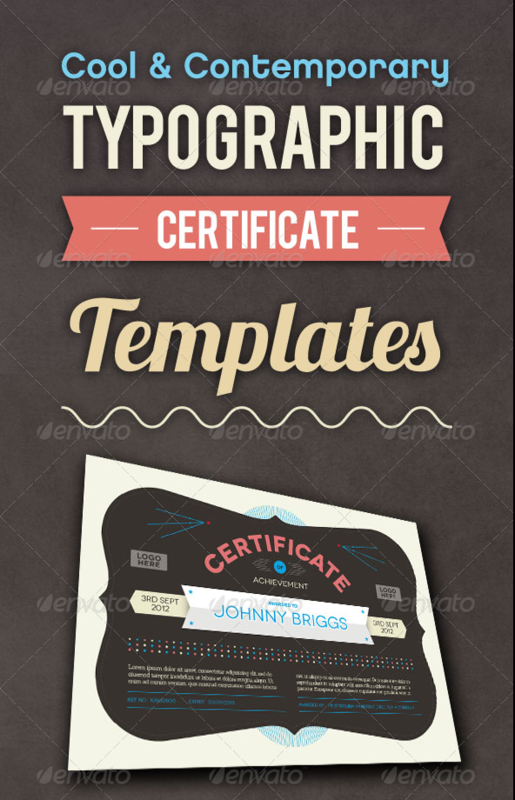 These certificate and diploma templates have been designed and available in Adobe Photoshop PSD, Illustrator AI, Vector EPS, InDesign INDD IDML and Microsoft Word DOC DOCX 2003/2007/2010/2013. You can look at the description of the template on the source page to find out the available formats and pick the one you are comfortable using. 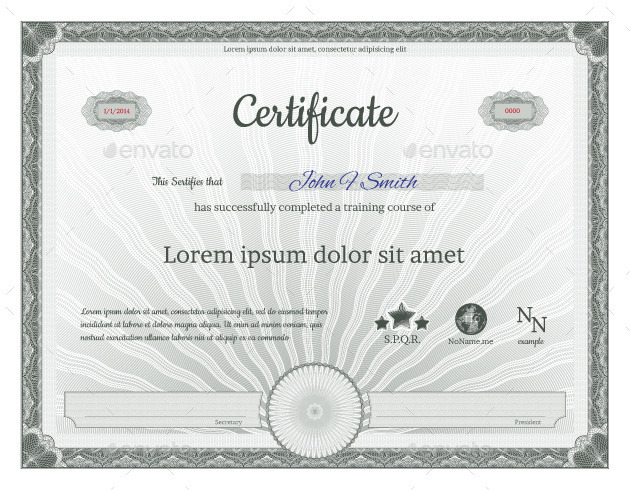 If you are searching for a free certificate template then I would like to let you know the fact that there aren’t any around on internet and even if there are, they are not of good quality. As certificate templates are not easy to design, they are not available for free. So, if you really need a good quality certificate template design, you may have to spend a little for it but it will be worth every penny. I hope that you understand this fact and also like the templates listed in this post. If you do, please share this post with your friends and colleagues and help it grow. 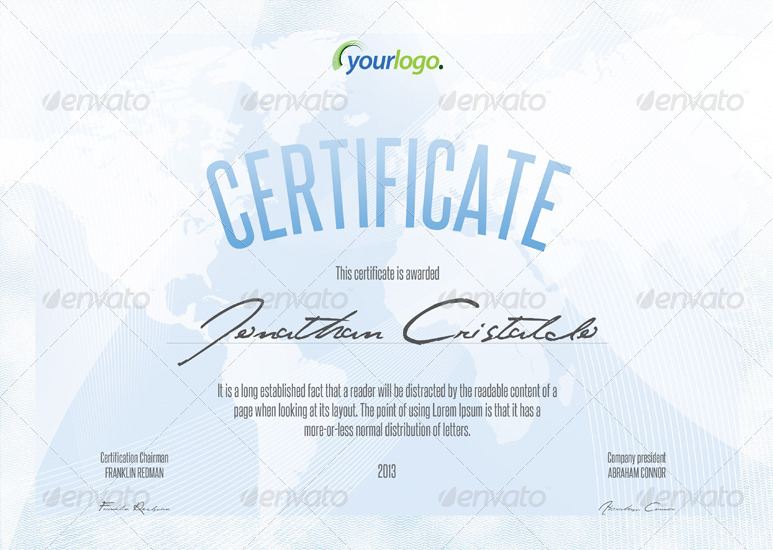 This is a free multipurpose certificate template PSD which you can use to reward your employees, students, teachers etc. You can use it as a certificate of reward to reward anyone. 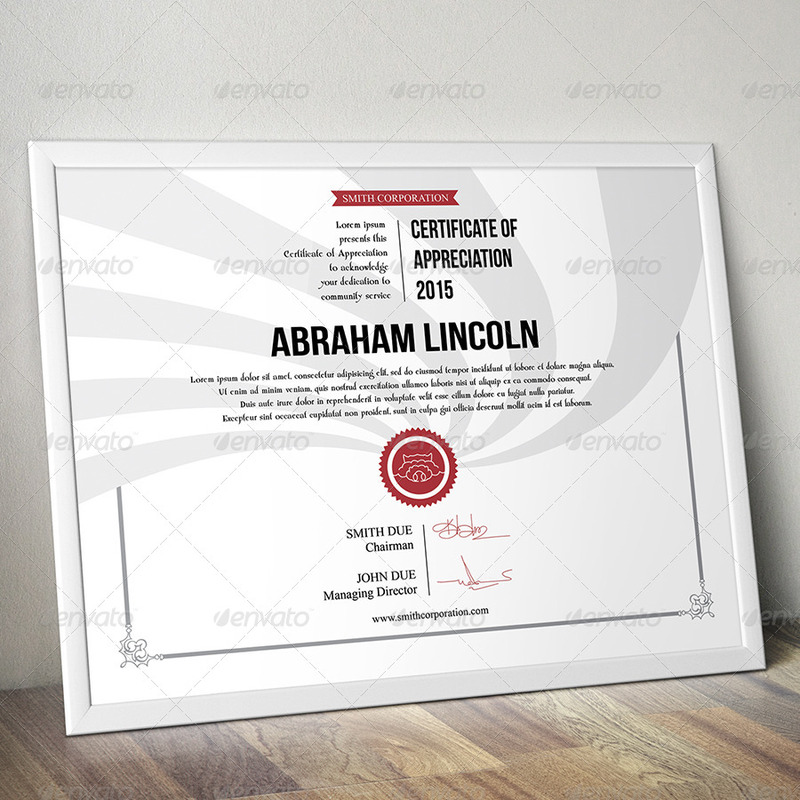 This is a free certificate of appreciation template PSD which you can use to reward your employees, students, teachers etc. Basically, you can use this template as a certificate of appreciation to reward anyone. This is also a free multipurpose diploma template. This is great for small training centers, shops etc. It’s a professionally designed certification of appreciation template designed in Photoshop and available as a fully layered PSD. 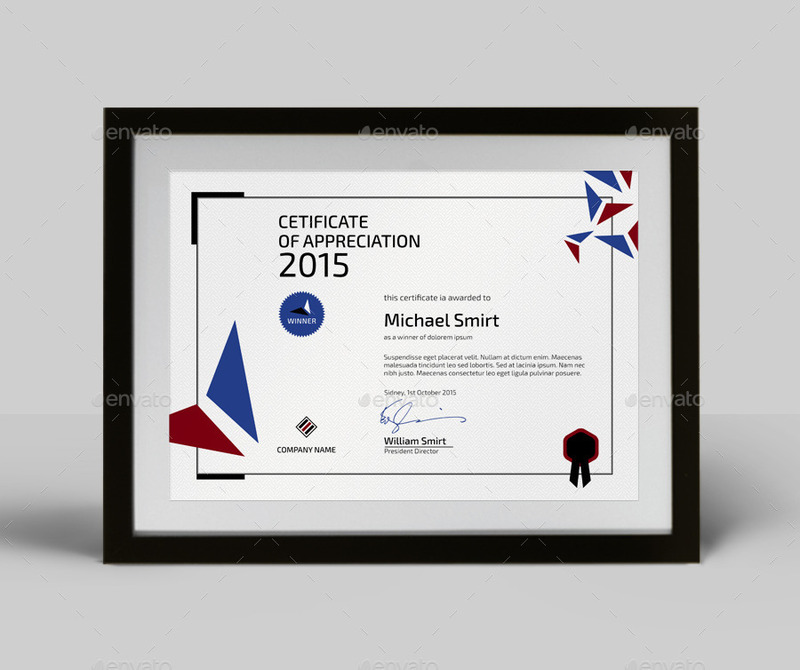 A clean and modern award certification template which can be used to give any type of awards. A good resource to save your time and cost. It is designed in Adobe illustrator and available as Vector EPS. A clean and minimal certificate of recognition template available in two paper sizes including US Letter and International A4. 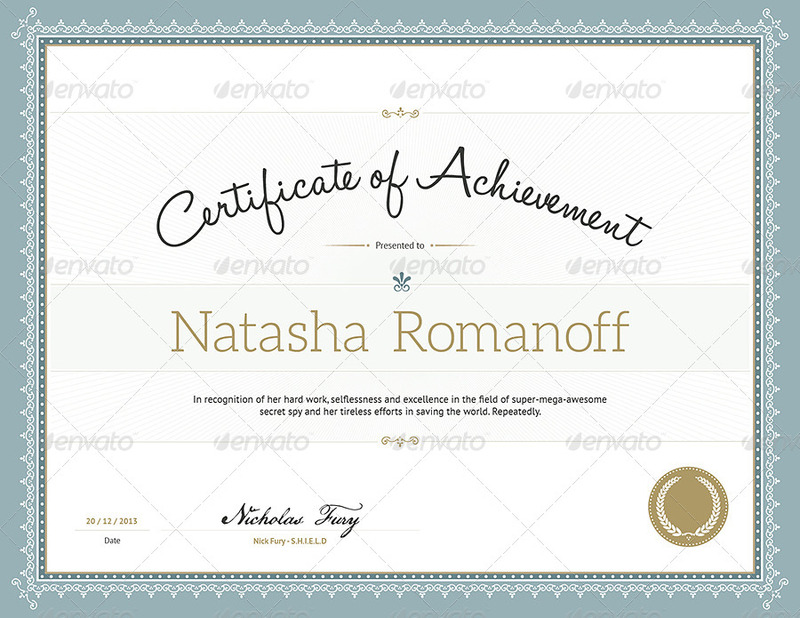 A gorgeous and finely detailed certificate of achievement template with three different designs. The files are all vector based and easy to edit. 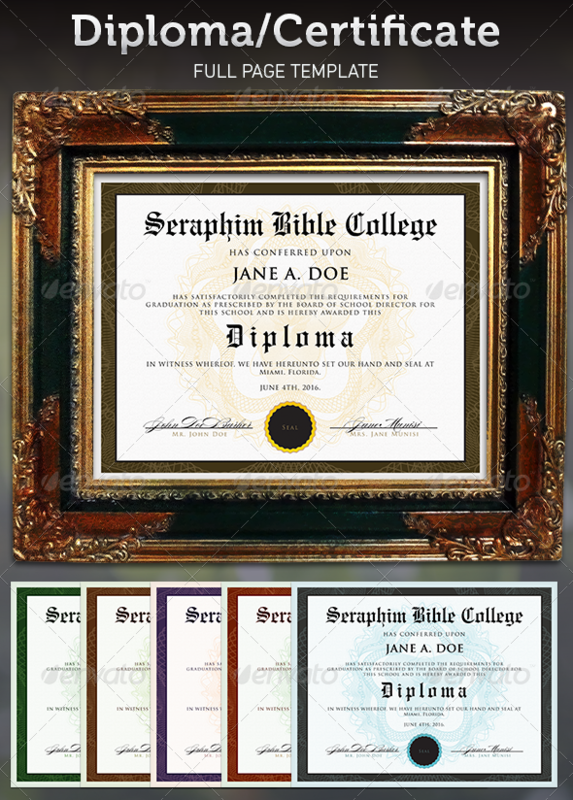 This is a beautiful and very professionally designed Diploma and Award Certificate template. You can use this certificate template for other purposes too due to its versatile design. 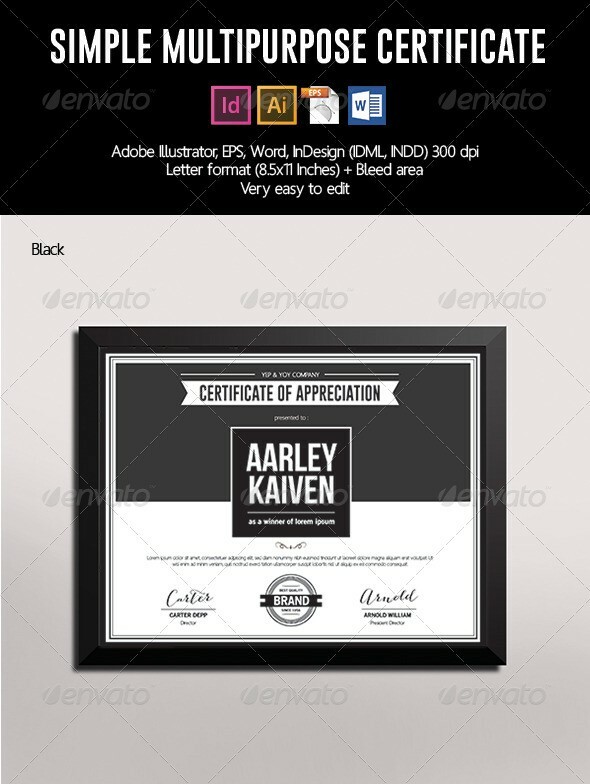 Though its a multipurpose certificate template but it’s primary use should be as a certificate of appreciation. It’s got a very nice, retro and authentic design with minimal details. 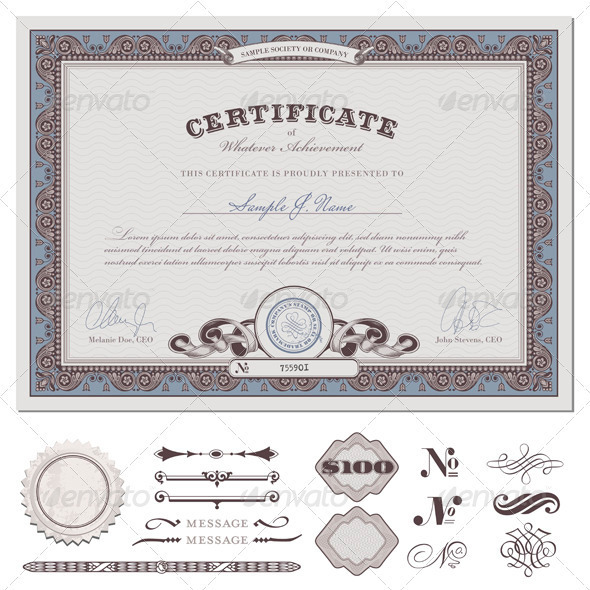 Another vintage certificate of achievement template with very fine detailed border. It comes with additional design elements and page decoration as you can see in the image below. 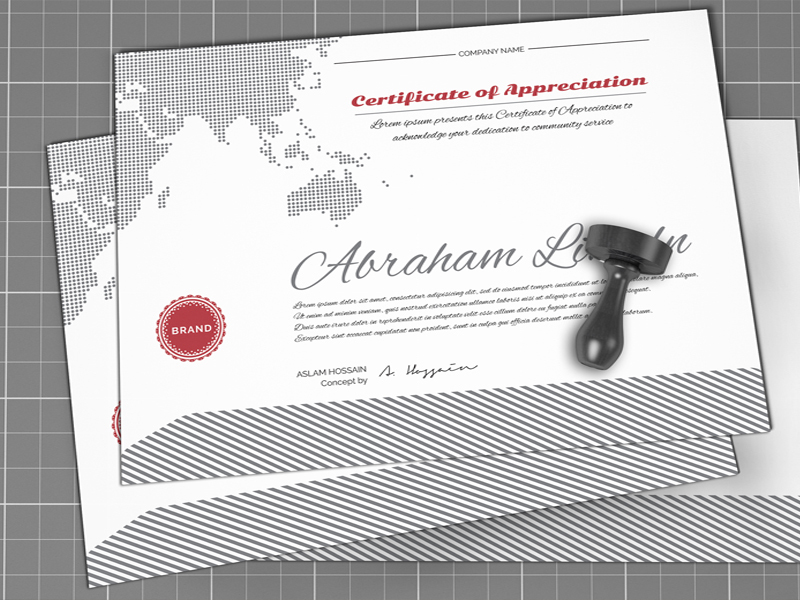 This is a certificate of appreciation template pack with five different designs. All designs are available in both portrait and landscape orientations. It’s been designed in Photoshop and available as a fully layered PSD. 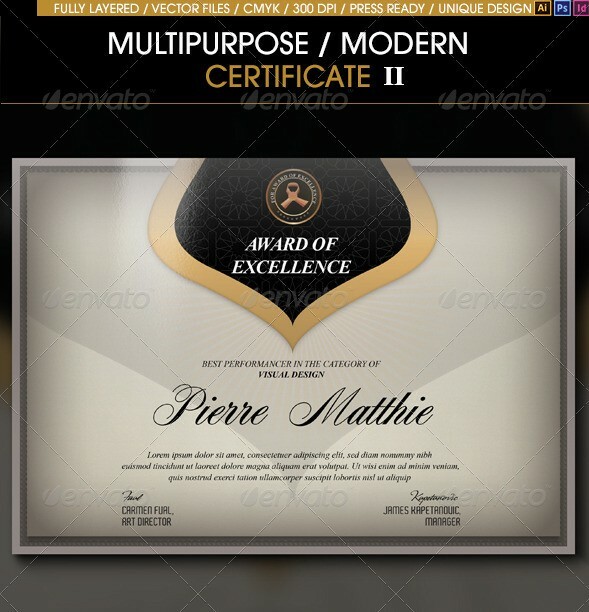 This set of modern multipurpose certificate templates can be used for variety of purposes like completion, diploma, winner and even as business certificates. The set is available in four different colors and pretty easy to modify. This set is available in Adobe AI, InDesign, Microsoft Word and Vector EPS. This could be a great choice for people who prefer a certificate to look classic. The template is designed in Photoshop which allows you to easily customize it. You can change the colors swiftly and drop your seal in place with ease. 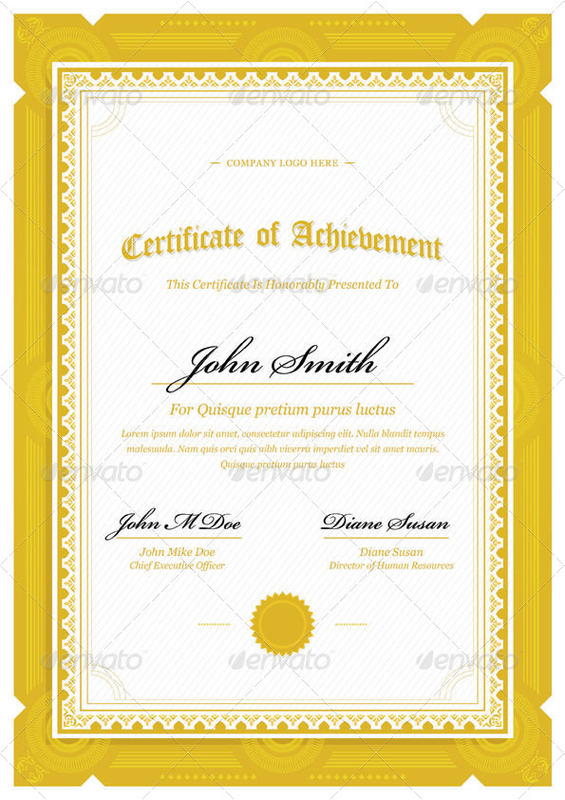 This certificate template is a vector Illustration of detailed Guilloche certificate. 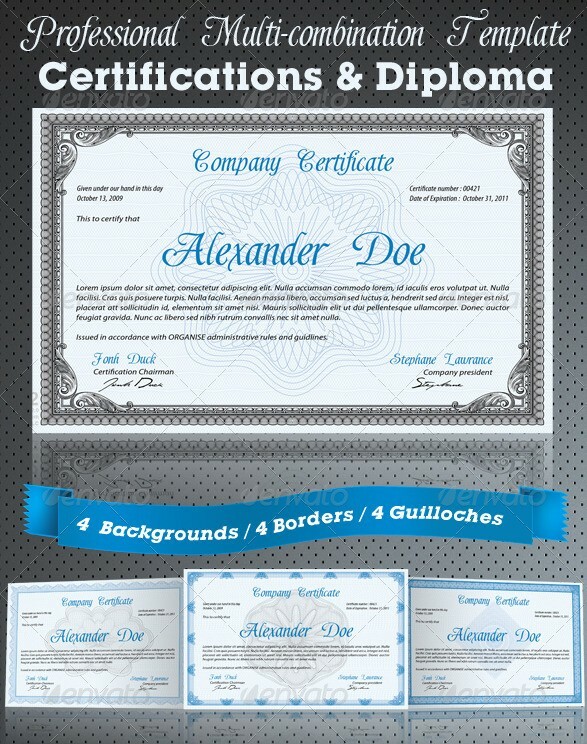 A very professional and realistic certificate or diploma template for companies with four backgrounds, four colors and four Guilloches. This is a simple and multipurpose certificate templates with three color variations. It is available in InDesign, Microsoft Word, Photoshop, Vector EPS and AI formats and has both portrait and landscape orientations. The primary use of this template can be as a certificate of appreciation. An award of excellence certificate template which can be used by any company to give awards to their employees. It’s design is really modern and very professional. If you need a certificate bundle then this could be a good option for you. 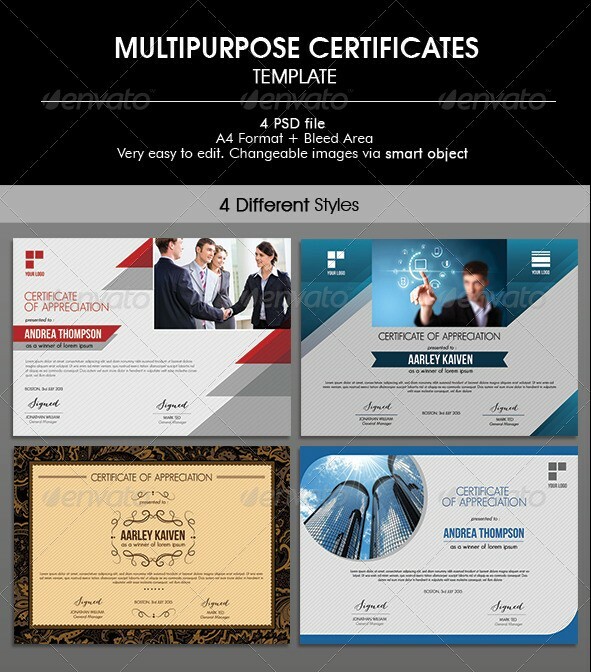 This is a professional and beautiful Diploma & Award Certificate Bundle containing four different certificate templates that are easy to customize. A good choice of certificate template for people who look for a clean and modern feel in a certificate. 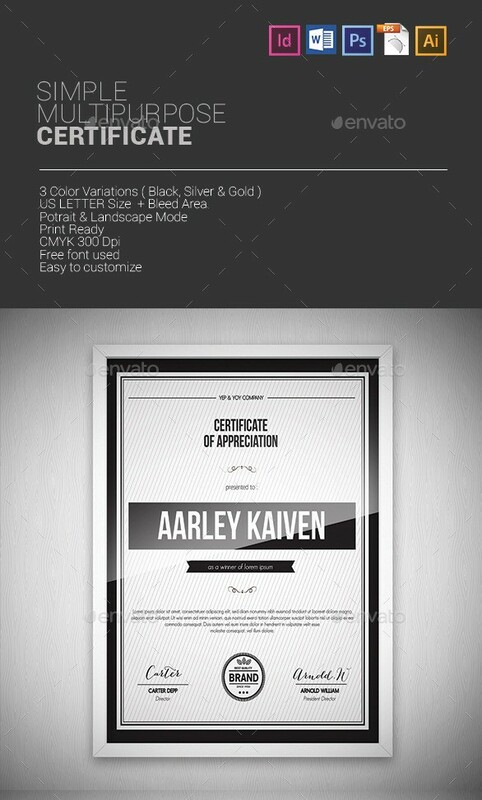 It’s a multipurpose certificate template which you can customize and use for variety of purposes like for awards and recognitions. It is designed in Adobe illustrator and available as Vector EPS. 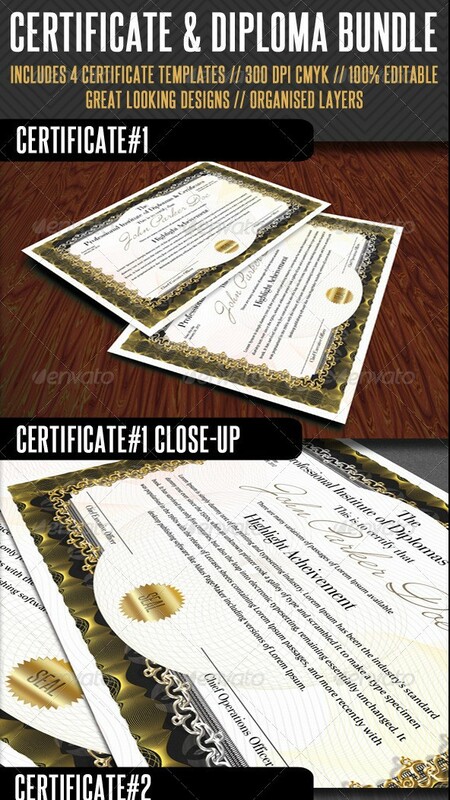 A set of professionally designed Diploma and Award Certificate templates. These templates are available in A4 landscape orientation and pretty easy to customize. 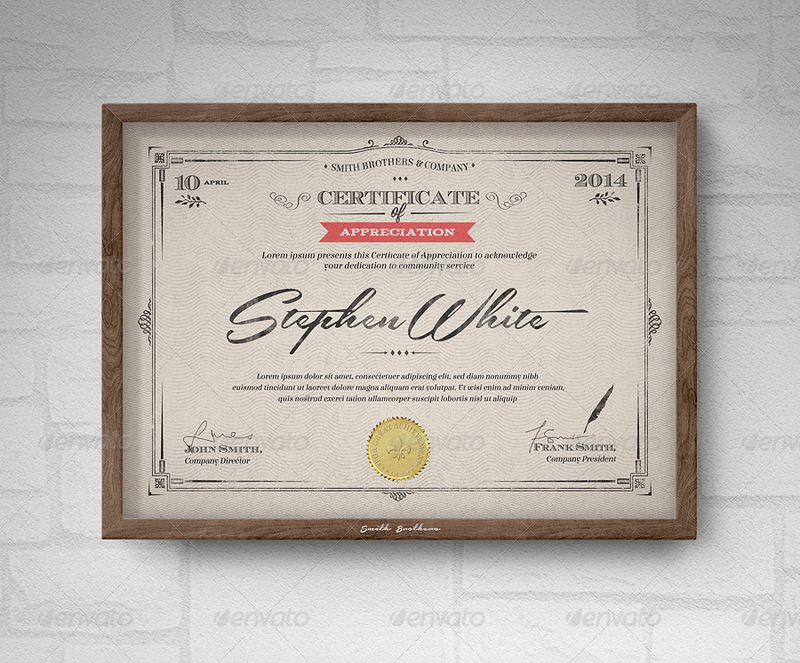 A clean and multipurpose certificate templates set available in A4 and US letter sizes. It comes in both landscape and portrait orientations. It is available in Photoshop PSD and Microsoft Word. These certificates are perfect for awarding in a corporate and institute. 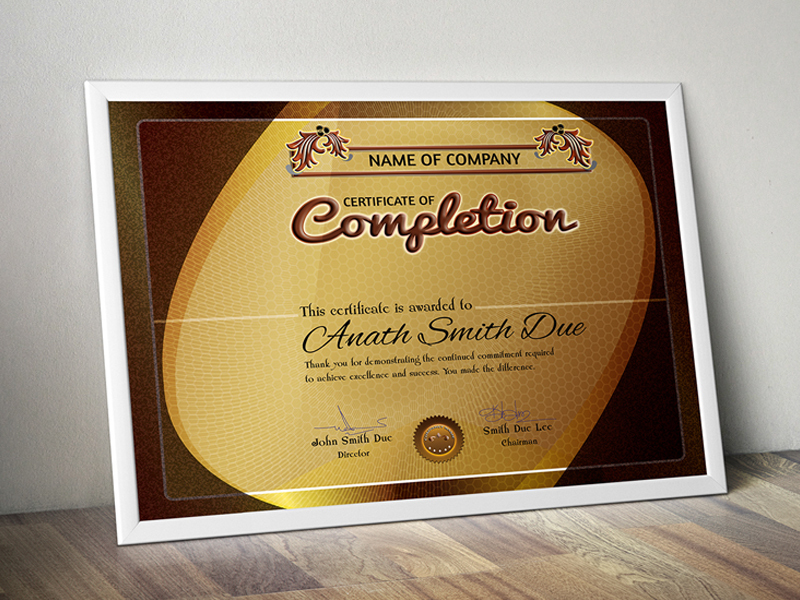 These simple certificate templates are best for rewarding employees, students, players of the game etc. 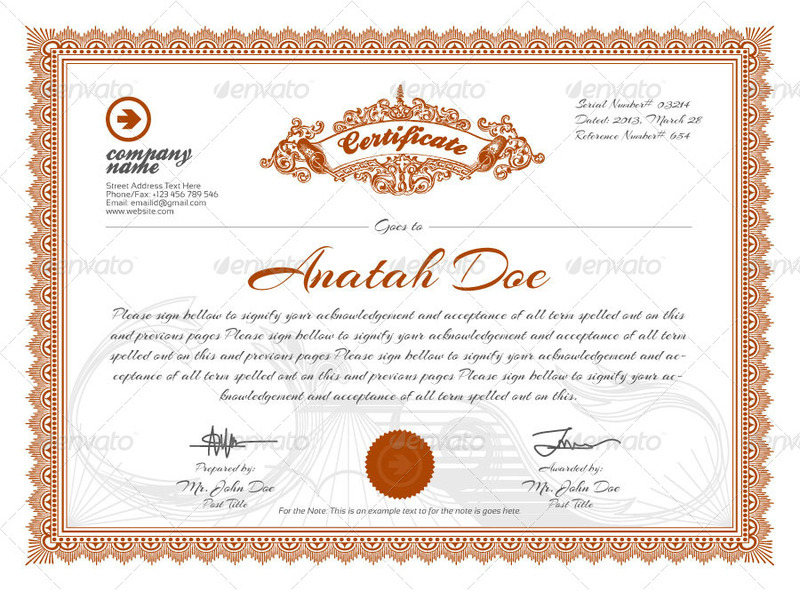 A very professional set of three certificate templates with very clean designs. These can be used as certificate of achievements. A very clean award certificate template designed in Microsoft Word and Photoshop. This one really has a very clean look to it. This is a set of very modern certificate templates. These can easily be used by the companies or corporates to reward their employees. The best use of these would be as a certificate of appreciation or award template. 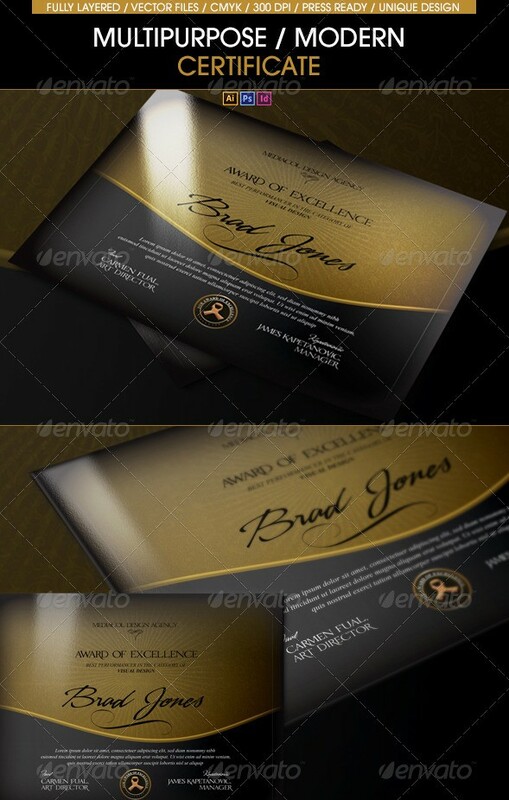 These are very stylish certificate of award templates perfect for contests and promotions. 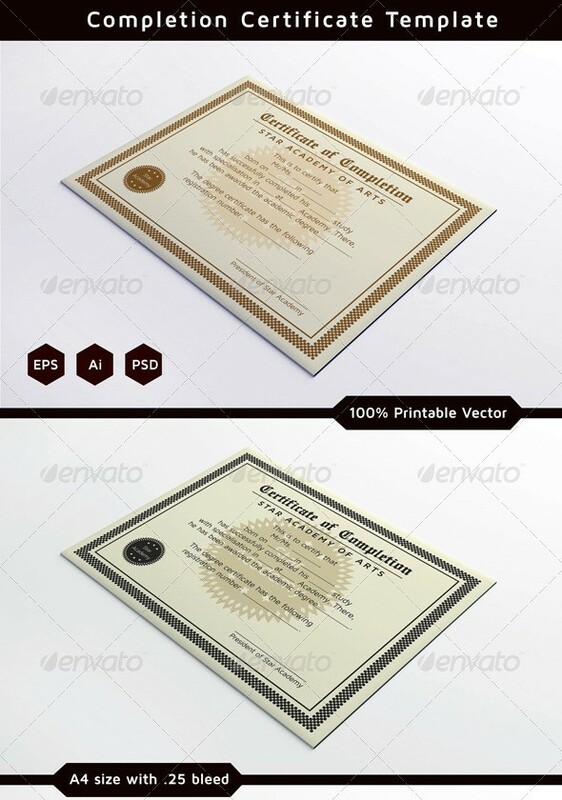 This is a set of both certificate of award template and diploma template in A4 international paper size. 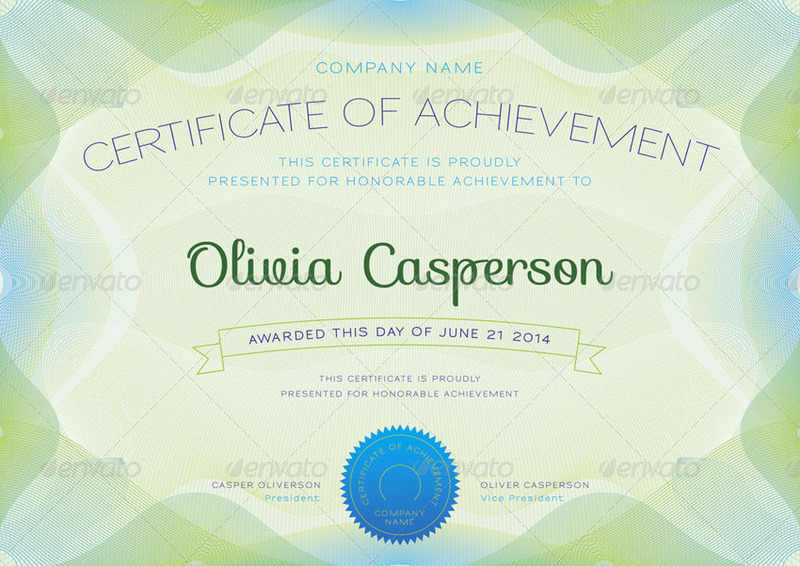 A clean and modern certificate of appreciation template with five color presets. 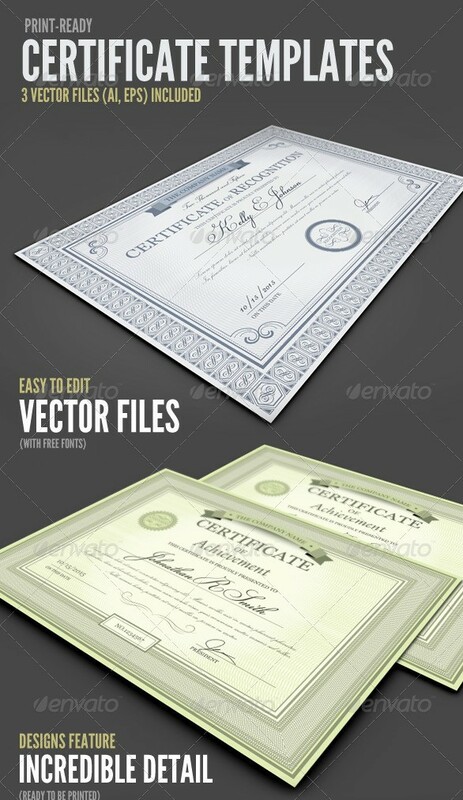 All these certificate templates are available in Photoshop PSD, AI, Microsoft Word and Vector EPS. A very modern and clean certificate templates pack for corporate to certify their employees for trainings and other programs. 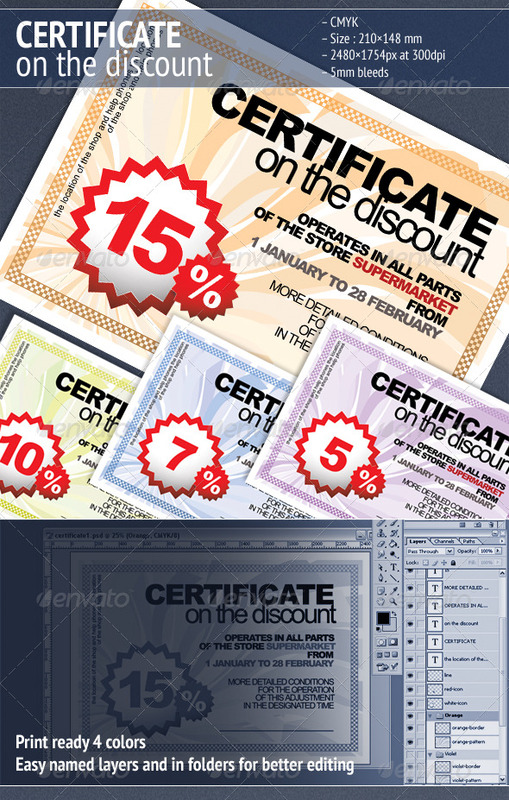 These are certificate on the discount templates best for stores to promote their discount offers. 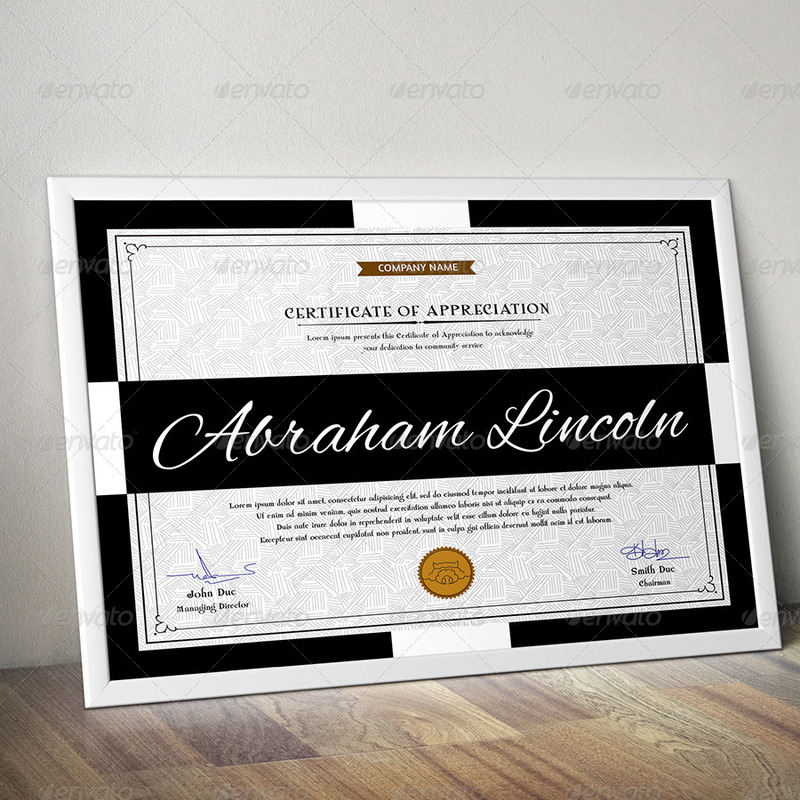 These certificate of appreciation templates can be a great choice because you will get a copy of the original Illustrator Certificate Art, in VECTOR format. The files are made with Illustrator. These certificate and diploma templates really have some royal look to them. These are Perfect to be used as certificate of award template by collages, universities and institutes. If you need something unusual and different then this could be for you. This certificate template has a modern typographic style design and really a bit different than the usual traditional certificate styles. This is another form of the certificate template listed just above. If you need something unusual and different then this could be for you. This certificate template has a modern typographic style design and really a bit different than the usual traditional certificate styles. 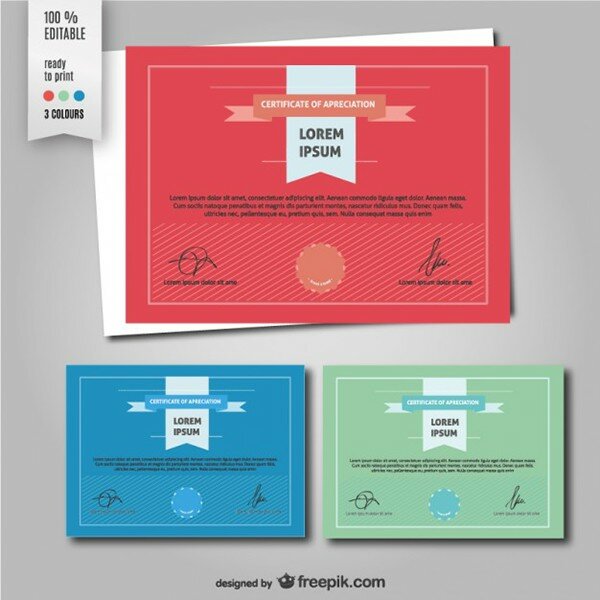 These are very simple A4 size certificate of achievement templates in four different colors. 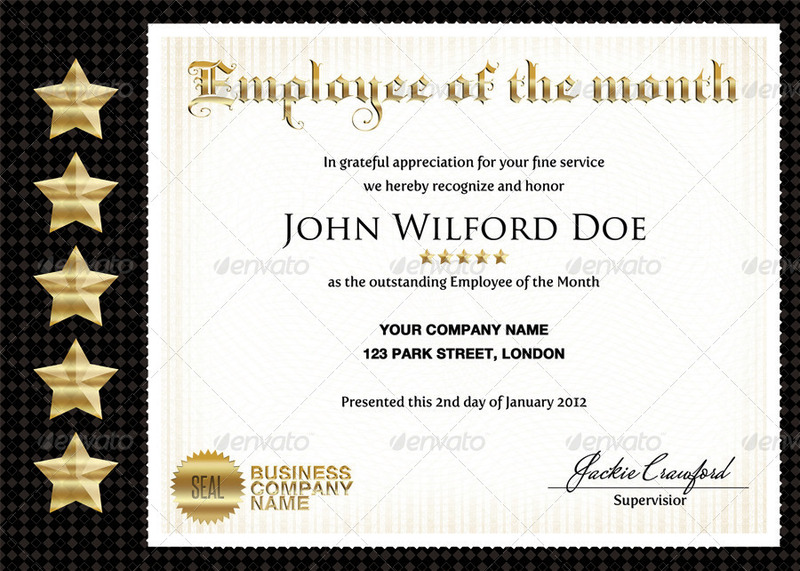 A beautiful and great looking employee of the month certificate template. Your employees are going to love this design. These are certificate of completion templates that can be used by institutes, academies etc. These are available in EPS, AI and PSD formats. 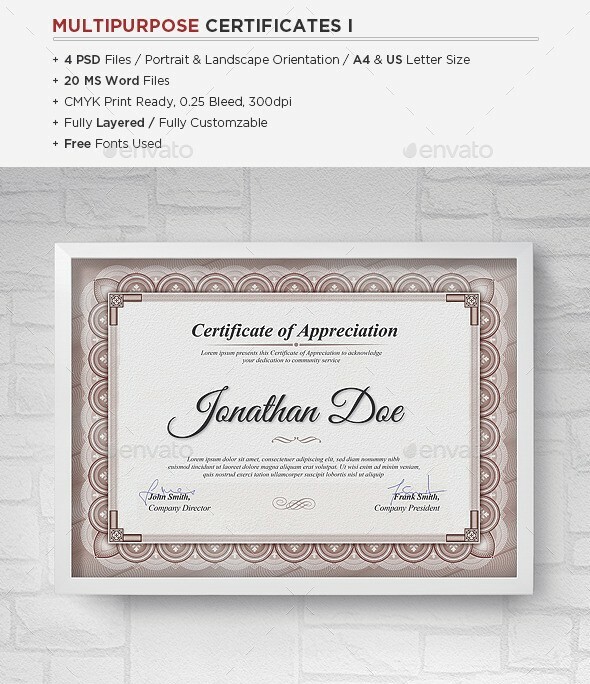 A great multipurpose certificate template to quickly create a professional looking “Certificate of Appreciation” certificate for any company. You can very easily change the colors to match your unique requirements. 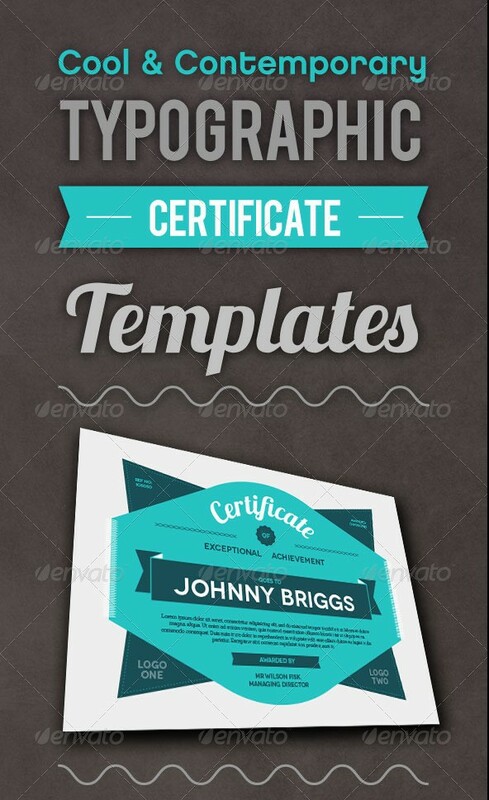 Certify is a set of three certificate of award templates with traditional layouts. 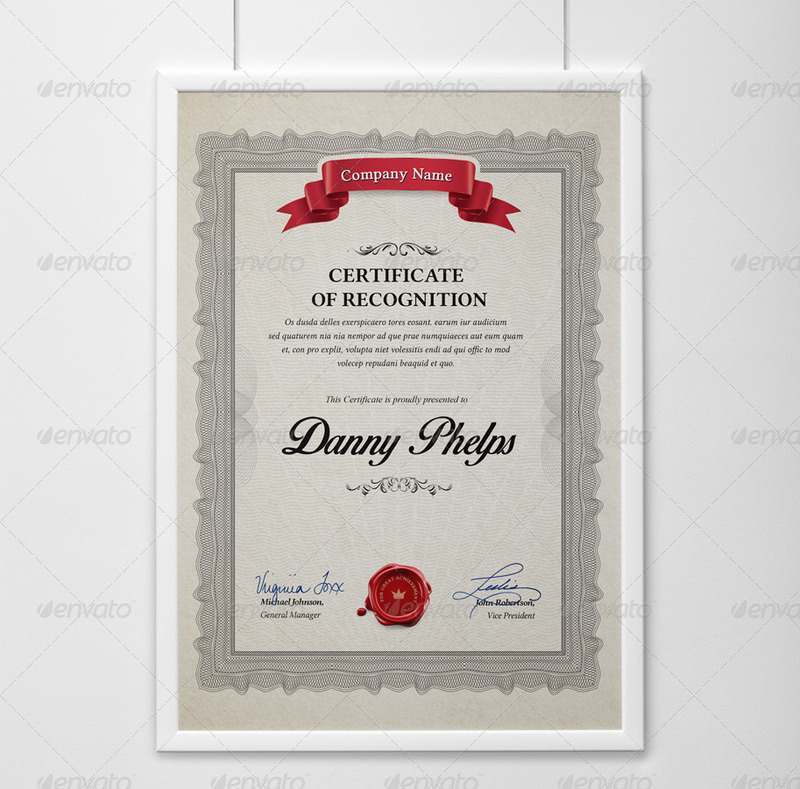 A modern certificate of appreciation template which can be used for all certificates you need. 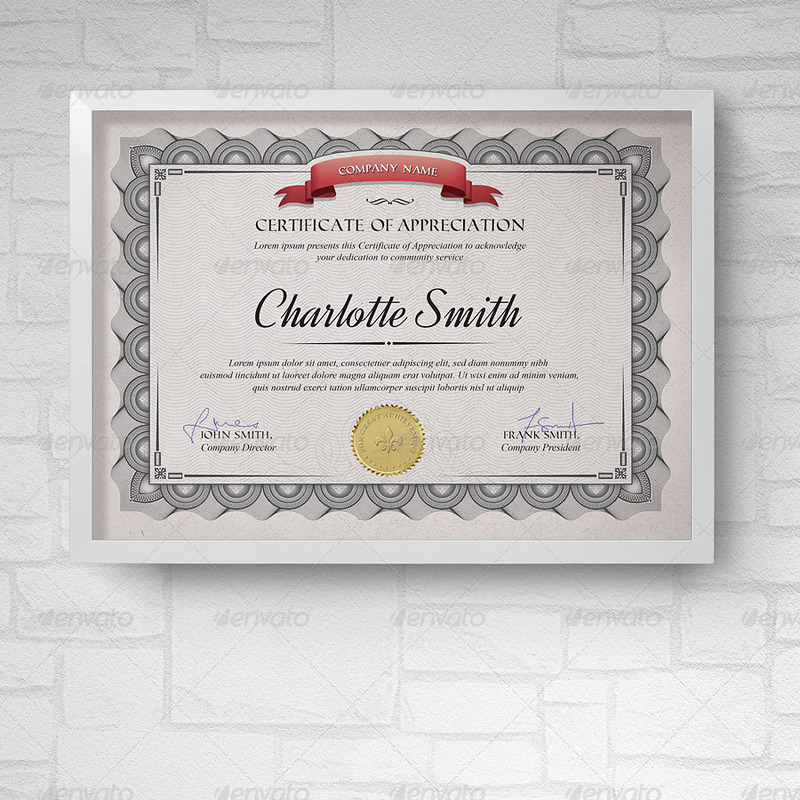 Yet another multipurpose certificate template to create a professional looking “Certificate of Appreciation” certificates for companies. You can very easily change the colors to match your unique requirements. 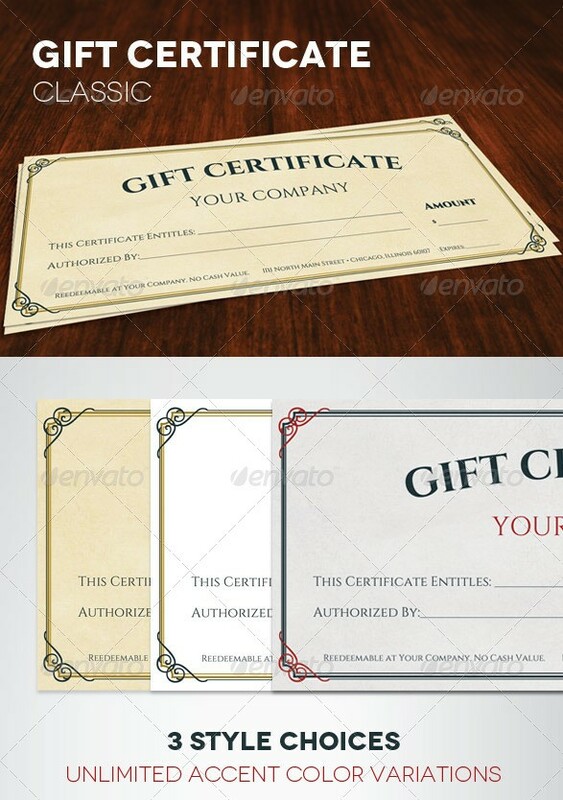 A classic gift certificate template which can be used by any company or may be by stores to reward employees and customers. 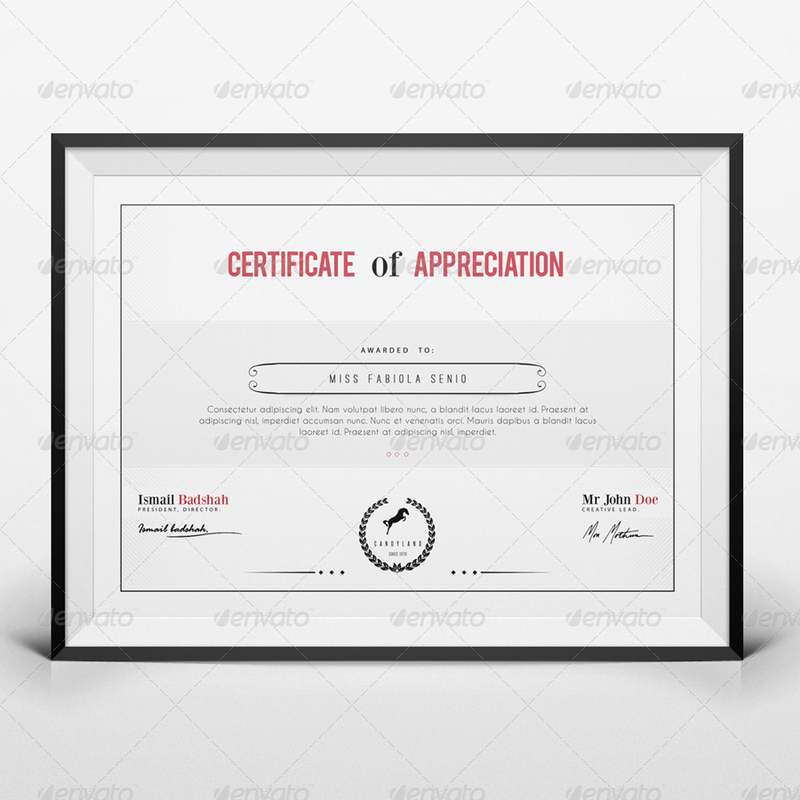 A simple certificate of appreciation template which can be used for all certificates you need. 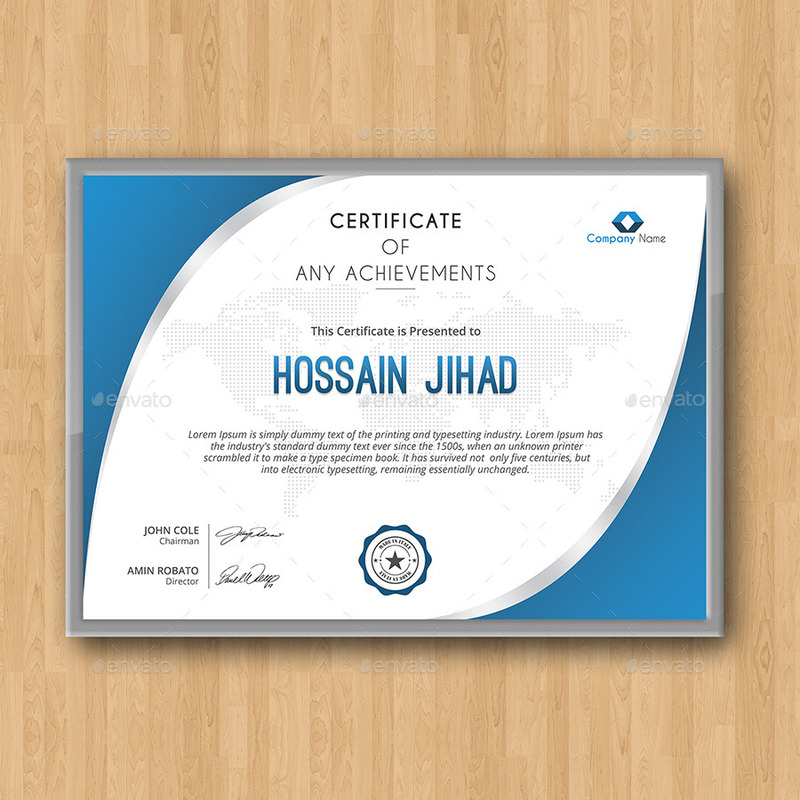 This is a modern certificate and diploma template which can be used by companies, institutes, academies, universities etc. 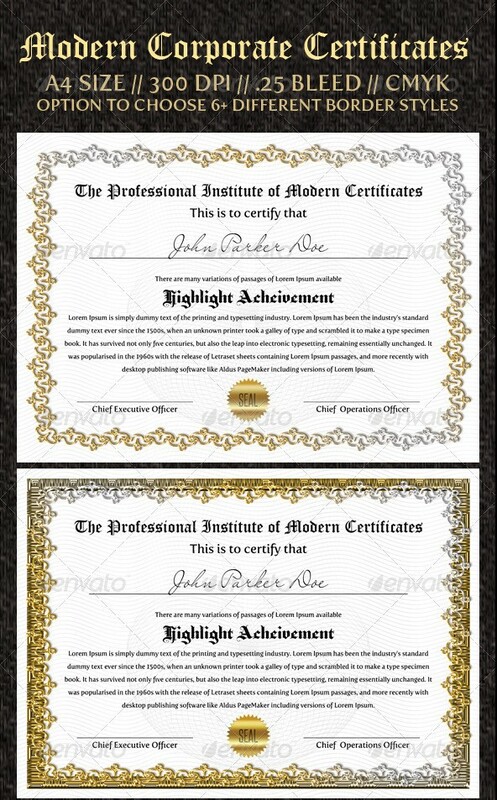 These modern certificates templates can be used by any business, company, institutes, and contests etc. 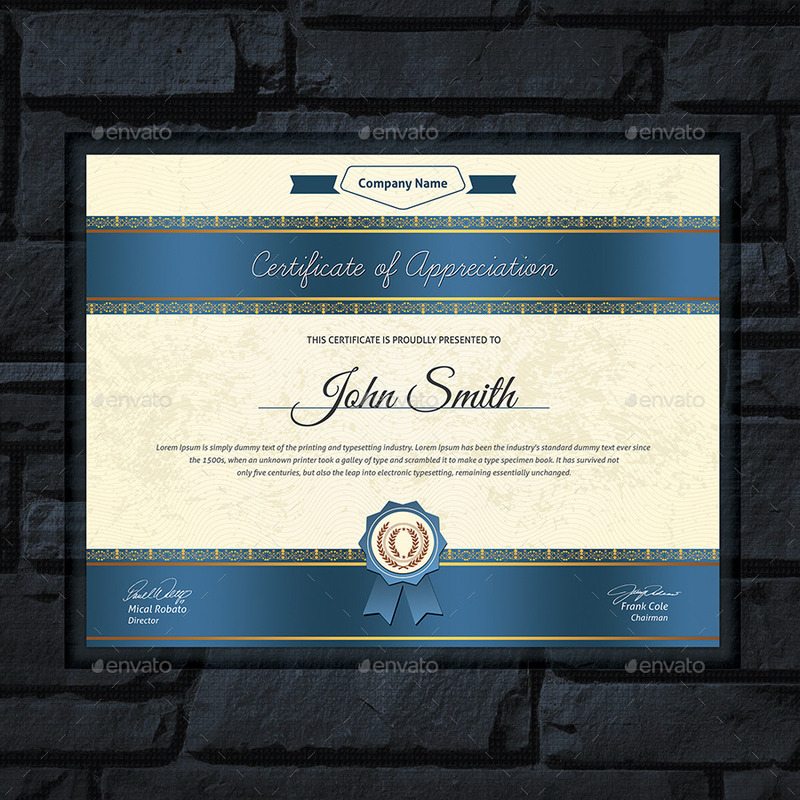 This is a great looking and professional certificate of appreciation template. This is best suited for companies to reward their employees.